Trusted by the world's most productive fabricators. K-TIG is a single-pass, full-penetration keyhole welding technology which performs a 6 hour TIG weld in under 3 minutes - just 1% of the time normally required. 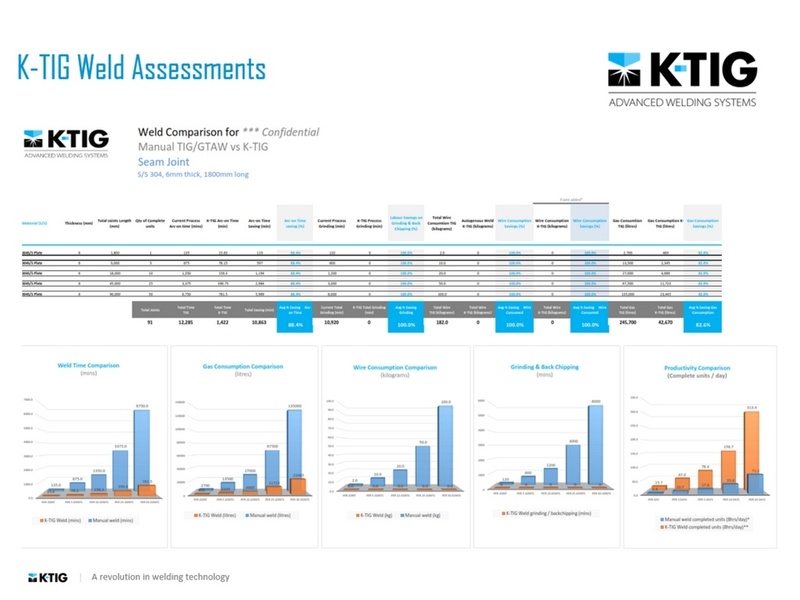 The average cost saving of K-TIG customers is between 80 and 95 percent. 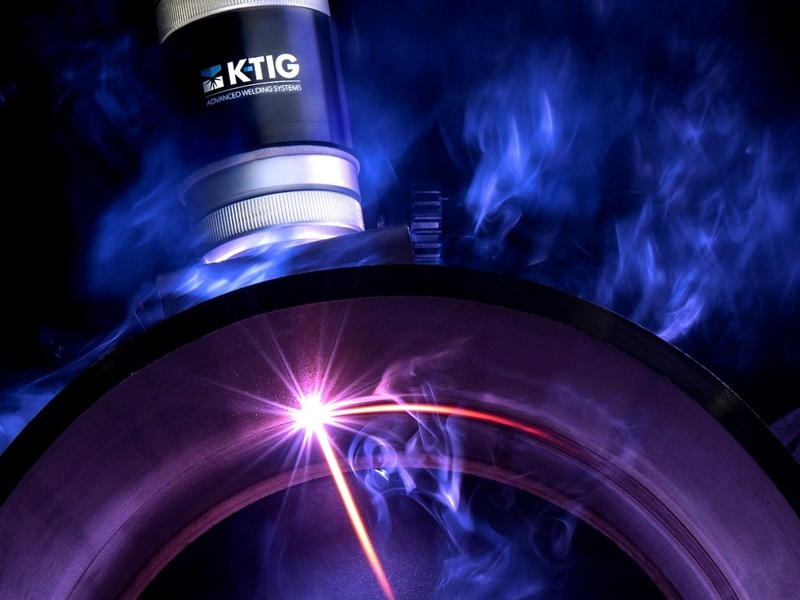 K-TIG is a GTAW process which requires no edge bevelling, uses as little as 10% of the gas normally required and produces highly repeatable, x-ray quality welds with superb cap and root aesthetics. Dramatic productivity gains. Dramatic cost reductions. 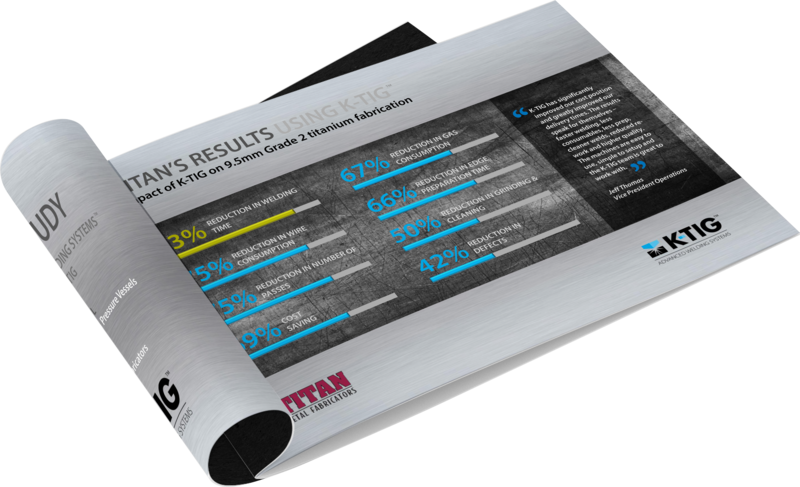 K-TIG routinely delivers savings in excess of 90%. Yes, you read that correctly. K-TIG has 8x the penetration of GTAW, allowing it to perform x-ray quality welds in materials up to 5/8 inch (16mm) thick in a single pass, without the need for edge beveling. 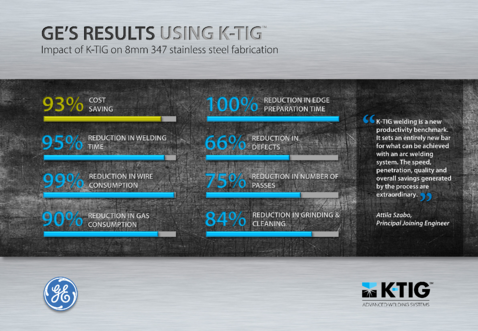 K-TIG is as straightforward to use as any automated TIG process. It’s just faster and better. Jeff Thomas, Vice President, Operations, TITAN Metal Fabrication. K-TIG combines the high quality and cleanliness of GTAW with a depth of penetration that is unmatched by conventional gas-tungsten arc, gas metal arc or plasma welding processes. The K-TIG keyhole which is opened through the joint is inherently stable, and operates over a very wide range of welding currents. Setup times are nominal and operation is extremely straightforward.